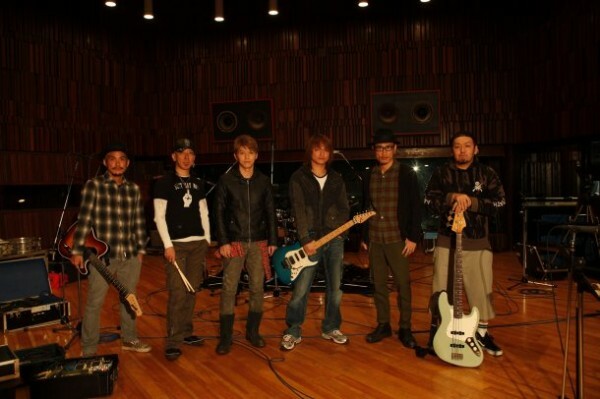 FLOW's next single is a Siam Shade cover, "1/3 no Junjo no Kanjo"
For their first single of 2011, rock band FLOW will cover an old classic, "1/3 no Junjo no Kanjo", originally performed by Siam Shade. The single is slated for release on March 9th. For this single, guitarist DAITA from Siam Shade will make a guest appearance. Last year DAITA held his 15th anniversary live, "One Night Special Band" with KOHSHI on vocals and they performed this same song. The FLOW members are said to have been fans of Siam Shade, and after the event the two decided to do a collaboration. The song was made famous appearing as the ending theme song to the anime, "Rurouni Kensin" in 1997. So'Fly announces new single for 2011 theme, "Believe"